Does anyone know if there are files out there to 3d print parts for Servo & Crow? The cost in filament would be more than a bob kit. 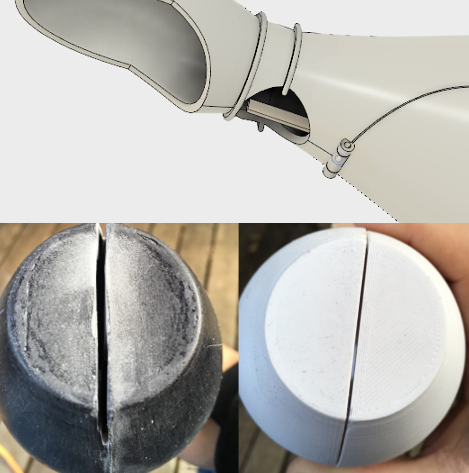 I modeled and printed Crow's mouth and have been working on a few other parts, but that's more because I had to modify the parts to accommodate servo motors and electronics, so I haven't published any STLs yet. The results look good, but need more work to appear authentic (like adding the e stamp for Crow's mouth or adding the vertical lines for Servo's head). It's a work in progress really. This is awesome! I love the hinge built into Crow's jaw. The hinge is needed to lower the load on the servo motor that will move the mouth. Also, since a motor will pull the mouth back shut I don't need elastic to do that work. 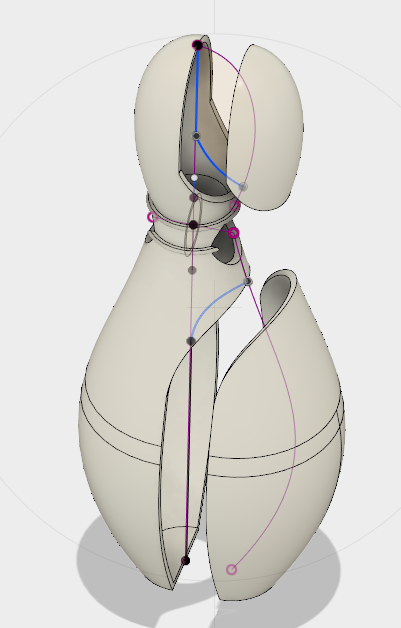 The extra bar at the end of the lower jaw is for the control rod from the motor to the jaw, much like how I hooked up Tom Servo's mouth when I made him as you can see here: https://twitter.com/packratt1/status/899169074780946433. I love that you are building them based around servos. Whats your endgame here? Easier operation or are you going to do something like rig them up and cut the audio lines out of the films then build movement routines based around the clips so they move when the ones on the screen do? The Tom Servo I built has triggers and each one initiates a different audio file recorded from the show. The motors are programmed to synch with that audio so that the mouth and head move in time with what he's saying. He's battery powered and his electronics all fit inside his body so it's a great cosplay prop and I've taken to PAX and a few other shows already... but he'll be even better once I finish Crow because they'll both be synched to initiate off a single trigger, thus they can "converse" back and forth with each other. I have further plans to change them from manual triggers to audio triggers and load them with a full episode's worth of audio tracks so they can riff a movie with you, but that's way down the road. Dude... That's insane. You'll have everybody's dream bots! For now he's only loaded with 4 different clips because there are only 4 buttons on my RF transceiver. It that video, though, he's triggered by buttons I embedded under his hoverskirt. ^That is so unbelievably awesome. What a freakin' cool project! Ok Packratt wins on best builds of all time after Bob. Oh, I definitely wouldn't go that far, especially since I haven't even finished Crow yet and I consider these prototypes. Anyway, to bring it back around to the topic. Here I printed up a variation of the Crow shoulder pieces that can accommodate a servo motor for shoulder rotation.